Just a short drive south of Sarasota,Florida you will find a little eight-mile long island known as Casey Key. Here you will find a place where time has stood still. Bask in the natural beauty of this island which enjoys bay to gulf water views,or,if you want to explore the history of the area, visit Historic Spanish Point in Osprey,Florida. Historic Spanish Point was the prehistoric home of the Calusa Indians,among the first people to settle in the area around 3000 BC. The artifacts from this prehistoric people can be found throughout the grounds. The island was later settled by John and Eliza Webb from New York. They planted citrus and vegetable plants, opened a citrus packing house and boat building operation and operated the Webb Winter Resort which attracted winter-weary residents from the North. Among those Northern visitors was Bertha Palmer of Chicago, who established her winter estate on Spanish Point. She transformed the landscape with her gardens and architecture. 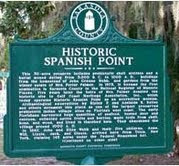 Spanish Point has been preserved thanks to the donation of the property by the family of Bertha Palmer to the Gulf Heritage Association in 1980. Today, Spanish Point is a 30-acre archaeological, historical and environmental museum. Walk the nature trails where you will see historic pioneer buildings. Enjoy the boardwalk which rambles through native coastal habitats with live oaks and gumbo-limbo trees and a beautiful views of Little Sarasota Bay. You may even spot the resident American Bald Eagle! See the magnificent display of colorful flowers in the Butterfly Garden, one of the largest on the Gulf Coast. Visit the “Window to the Past” built inside a prehistoric shell mound. A popular site for weddings, Mary’s Chapel is a beautiful wooden structure which floods with brilliant sunlight as it streams through its stained glass windows. Visit the Guptill House built in 1901 on top of a 50000 old Indian shell mound. See a living history reenactment of pioneer life with performances in Mrs. Palmer’s pergola and sunken garden. 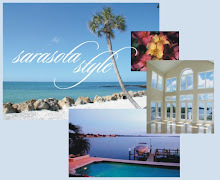 Take a trip across Little Sarasota Bay on a sharpie sailboat, a hand-built wooden reproduction. At the end of the day, relax at the Spanish Point Pub & Marina where you will be sure to find something for everyone’s taste at this casual waterfront establishment. Contact the John Allen Team for information on Casey Key real estate. Our real estate agents show Casey Key homes for sale regularly and will assist you in a smooth real estate transaction.